The European Union has enacted legislation that governs the way in which privacy is maintained especially for any guests from the EU. Pursuant to that statute, Pulaski Electric System (Website Owner) has undertaken a review of the various places in PESEnergize.com (Site) in which your personal information might be seen or listed by the Site. Your personally identifiable information (PII) and other personal data (your “user information”) will be collected, used and share in connection with your access to and/or use of Site and any content features, services or other offerings that Website Owner may provide in connection with the Site. By using the Site, you consent to the use of your user information in accordance with this Privacy Statement. If you are located in the EU or are covered by the GDPR statute you will be asked to provide clear and affirmative consent to the collection, processing and sharing of your user information via cookies and similar technologies. Site is owned and operated by Pulaski Electric System. Information collected by SmartHub.com to operate the app is stored on their servers and is specifically collected to deliver the data you request via the application operation. 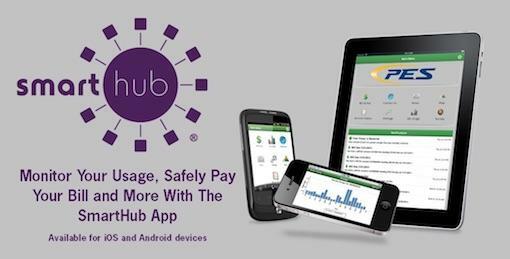 This website offers third party links to SmartHub.com, the secure online account portal for access to your specific account information to help you understand your power usage, billing information and to manage your account with PES Energize. You may also link to jotform.com a secure platform for interactive forms. These forms may be filled out on your screen or printed and filled out by you for return to our offices as applications for commercial or residential electric accounts. Google business page links are available for anyone wanting to write a review of your experience. It should be noted that all information written on Google’s review site is public and in no way protected content. Finally, those wanting to receive regular newsletters may choose to provide email addresses and names in a secure Google MailChimp database.